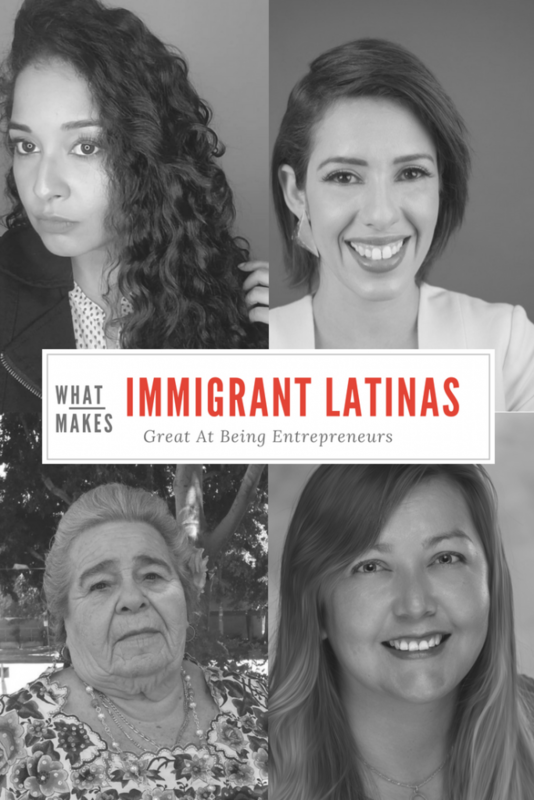 What Makes Immigrant Latinas Win At Being Entrepreneurs? Have I ever told you about my superpower? I have a work ethic that would make most people run screaming to find comfort in the latest work-life-balance guru’s words. I see it as a tremendous advantage. Throughout my life, even if I wasn’t quite sure of my talent or experience, I knew I could outwork my competition and eventually gain the experience that I needed to succeed. As for family, I still make it a priority to attend every single event, game, ceremony, and whatever else that I need to. When I take time off, I know I have to make up for it, and that sometimes translates into all-nighters. Also popular is getting up 2-3 hours before everyone and catching up. This work ethic stems from one thing; being an immigrant and growing up seeing my parents and our other immigrant friends work harder than anyone else. A largely defining characteristic of the immigrant story is that when you arrive in the US, you have to grind and hustle. It’s no wonder that a study by the Center for American Entrepreneurship found that 43 percent of Fortune 500 companies — and 57 percent of the top 35 companies were founded by immigrants or a child of immigrants. Immigrants have been framed in a negative light the past couple of years for political purposes. The theme is always about them “taking our jobs”. What isn’t being discussed is the massive positive economic impact made by immigrants due to the high percentage of entrepreneurs. For example, those companies founded by immigrants are headquartered in 68 metro areas across 33 states and employ millions of Americans. I have always believed that being an immigrant is a benefit when it comes to starting a business and succeeding. After all, 25% of new businesses are created by immigrants. I decided to look at this from a Latina perspective. There is no shortage of Latina entrepreneurs who happen to also be immigrants that are providing a positive effect on our economy by supplying an increase in taxable income, services and employment. I asked these women what benefit they saw in being an immigrant in their entrepreneurial journey. Macy Calder is the creative immigrant mom behind a jewelry brand called EMME. Macy is passionate about family, design and feminine power and that is why her jewelry brand is oriented to empower moms to feel their best. She believes that mothers are the foundational rock of society and that if they are happy, their kids will thrive and we will have a brighter future. degree in Business. Macy now lives in Miami with her family, where she is grateful for the warm weather. Being an immigrant as being an entrepreneur is an attitude, it is a way to see the world and approach your everyday life. For example, as an immigrant, I missed my hometown, but instead of focus on that, early on I decided to focus on what I had gained: like a new city to love or a safer place to raise my kids. I changed my attitude in front of what was a depressing feeling. When I decided to become an entrepreneur I had to leave to my comfort zone again, so instead to feeling sad or anxious I embraced the journey and started to enjoy what I learn on every step. Socorro Herrera, aka Mama Yuca, opened Yuca’s, her first restaurant endeavor, on April 1, 1976 aiming to feed Los Angeles the best Mexican food they had ever tasted. In the ensuing years loving fans, and professional recognition have let her know that she’s more than achieved her goal. As we seek to adapt to our new country, to find ways to provide the American dream to our family, we notice unmet needs, solutions to problems that can improve our lives, and by extension, opportunities that will improve other’s lives. As a sample maker in the garment industry, my Mom noticed that the women working there had very little time for other things; things like Christmas shopping for presents for the kids. She came up with a solution that helped her increase revenues for herself, and provided a service for her co-workers – she and Dad rented a U-haul truck, filled it with toys, and travelled from factory to factory selling those toys to grateful seamstresses throughout Los Angeles. That increased awareness of other immigrants struggles, coupled with a need to provide for her family, provided many more opportunities for her future entrepreneurial creativity. Originally from Lima, Peru, Carla worked for over 16 years in television, film and advertising production. 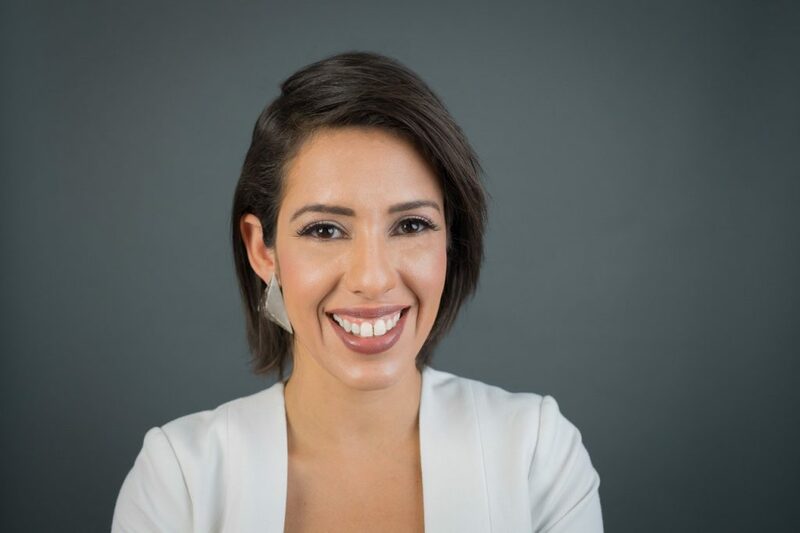 When she became a mom, Carla decided to start her own business, and she launched her blog Notas de Mamá, a Spanish-language platform designed for Hispanic mothers living in the United States. Her blog has given Carla the opportunity to work with large brands and organizations dedicated to the education of the Hispanic community. This work goes hand in hand with the mission and vision of Notas de Mamá. 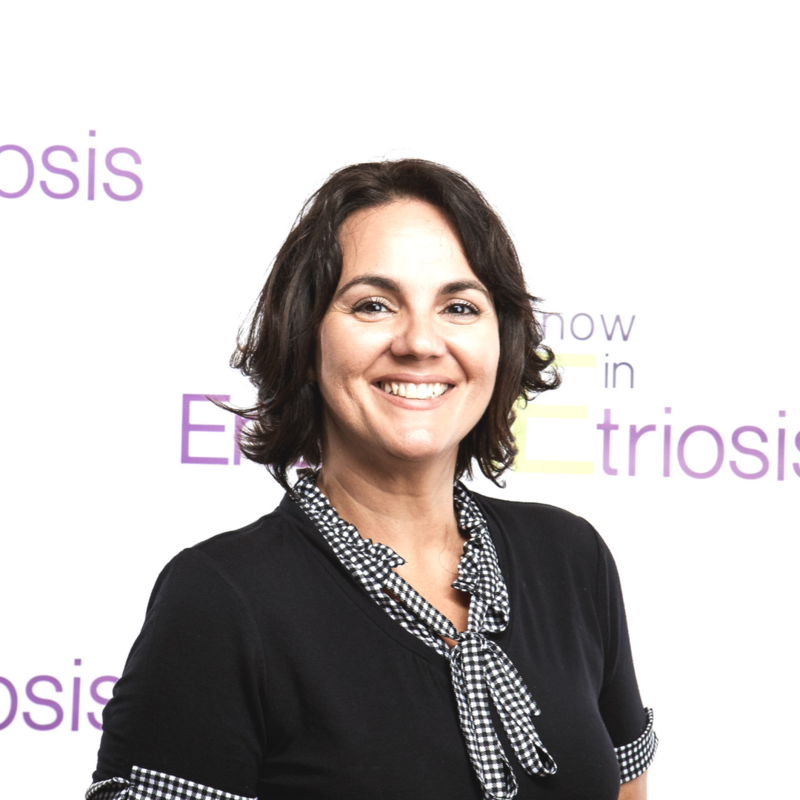 Through her work, Carla has been able to inform and educate women on their road for personal and professional development. I genuinely believe being an immigrant is a powerful tool for an entrepreneur. In my journey, being an immigrant has allowed me to discover that I possess a high capacity for adaptation and resilience. You go through so many changes when you move to a different country that you get used to things never remaining the same. Being able to quickly adapt to changing situations has helped me tremendously, especially during times when I needed to reinvent myself or my business. I started working in TV and Film production in Peru when I was 18 years old. I never imagined I would be making a living with something called Digital Marketing utilizing the Internet as my outlet. Maritza Gomez believes in putting your own personal stamp on things and being as original as you want to be. With that in mind, she founded MG Custom Printing, a promotional products and printing company specializing in digital decoration of marketing products and personalized gifts. Maritza has not always felt bold and brave or championed being an original because she is a “DREAMer,” an undocumented immigrant brought to the United States as a child. Although she’s faced many obstacles along the way, Maritza has been resilient and undaunted in her mission of being college educated and owning a business. 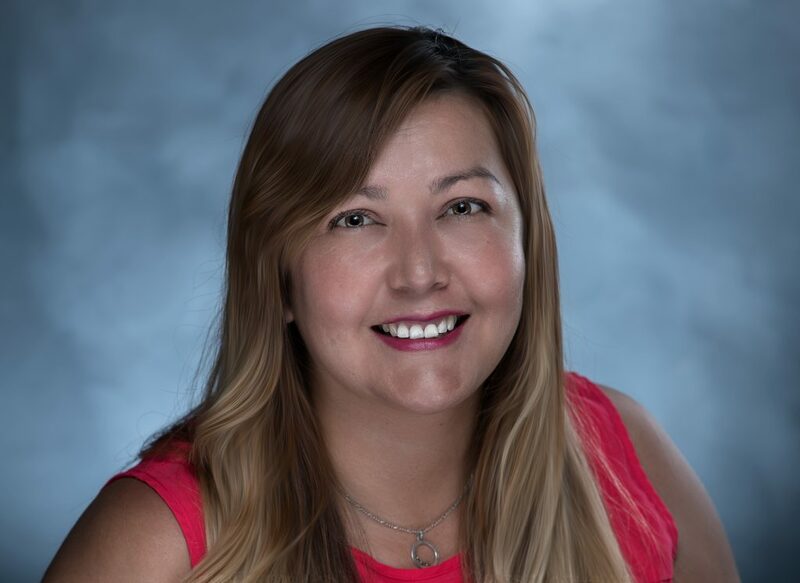 A proud graduate of California State University with a Bachelor of Business Administration degree, Maritza is one of 47 women featured in the new book, “Next Bold Move” by number-one bestselling author Tarra Flores Sloan. She is also a motivational speaker with a focus on immigration and entrepreneurial topics. I believe being an immigrant entrepreneur has helped me be more resilient to change and adapting to the circumstances that come and go with entrepreneurship. Most, if not all immigrants that I’ve met have the entrepreneurial spirit. Even if they don’t know how to start a business, they try. I’ve been around business owners that don’t speak English or how to read or write their native language and are still successful. My entrepreneurship journey is still young and I am still learning how to use my potential. I know that being an immigrant entrepreneur is and will always be one of my superpowers because I can relate to two different cultures. These sisters moved to the United States about 10 years ago from the Dominican Republic. Melissa has a professional background in higher education and counseling, while Lissa Ann has a professional background in event planning and customer outreach. They wanted to create a brand that would fit what women truly believed in. Cruelty free, parabens free, affordable but quality products with shades that are perfect for every skin tone. A brand that resonated with both in terms of boosting self-confidence and self-beauty. And that, is how they came up with Ella’s Eve Cosmetics. We feel that there are not many makeup brands created by people of color. In our case we have not heard of any Dominican entrepreneurs in the makeup industry so we believe there is a lack of representation out there. The way that we look at it is, our success in this business can open the door to others. We feel a closer connection to Afro-Latinas, non Afro Latinas and women of color in general. An Example in regards to our products is that we always make sure that we’re picking shades that complement ANY skin tone. At the same time, in being the faces of our brand others can relate to us because we look like them. Because we can be that familiar face to them. Joahna Hernández, moved to D.C. in 2008 from Mexico City to work for the Mexican tourism board. She organized the very first Mexican culinary festival in 2009 and witnessed the increasing interest for Americans to explore Mexico beyond its beautiful beaches. 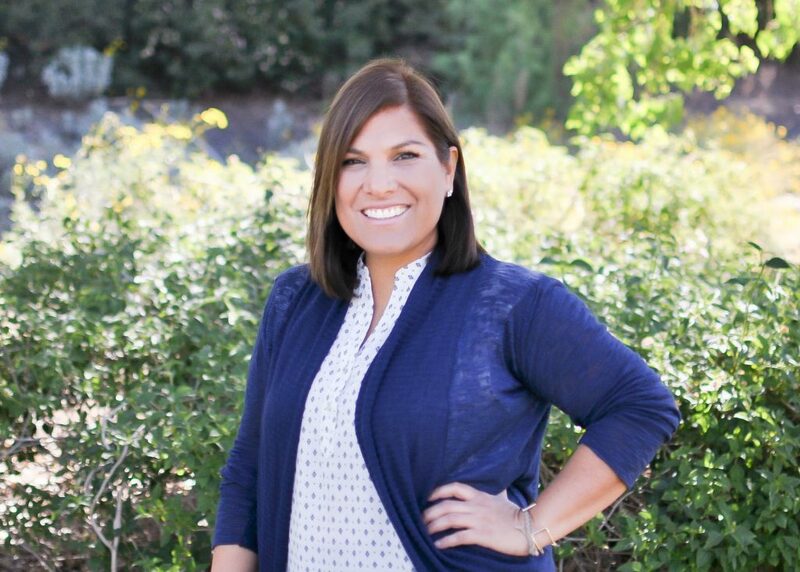 During this time she reconnected with her passion for food and shifted full time to the restaurant business becoming the GM at Casa Oaxaca, Mexican Restaurant. 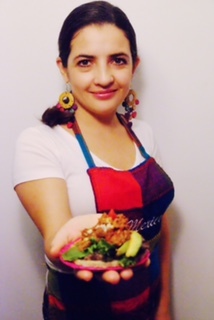 Her jobs at the Mexican Embassy and local restaurants brought her back to her roots, allowing her to do more research and visit Mexico more often not only to visit the family but also learn more about cooking and complete a mezcalier certification, the first one of its kind. 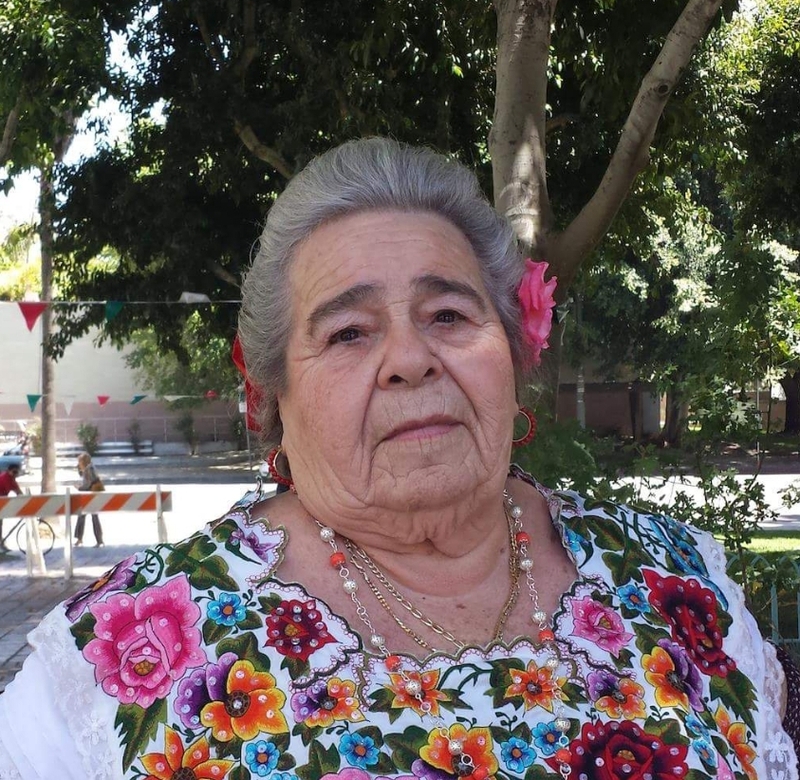 These experiences in combination with her childhood memories, her love for fresh corn, and the nostalgia for missing Mexican food, inspired her to open Manos de Maíz. I was born and raised in Mexico City and moved to the US. in 2008 to work at the Mexican Tourism office located in Washington, D.C. For the past 10 years, I have been working in the promotion of my country and culture and I believe being an immigrant has brought me more positive things and opportunities. I run a food business focused in the tradition of corn, we prepare street food at Farmers Markets and our menu is inspired in my family recipes of Mexican cooking. The Latino community in Washington DC is mostly comprised of Salvadorans and Guatemalans and for a long time, the city lacked authentic Mexican restaurants however in recent years, we have seen a shift from restaurateurs who want to bring a more authentic experience to those looking for food that taste more like Mexico and less like Tex-Mex. I have found it beneficial to be a Mexico native to my business because it validates the story I tell about Manos de Maiz, even though I make my own version of certain staples, I think I have the freedom to express myself throuh my food because I have a story to back it up and to establish a personal connection with my costumers. These women encompass two very important traits that I find to be true of immigrant entrepreneurs, resilience and innovation. When you leave everything and everyone you know behind, you have to learn to start over. Starting over in a foreign country forces you to be resilient like Macy Calder, because you don’t have a choice. It’s a sink or swim deal, and most people learn to swim. As for innovation, you have women like the Polanco sisters and Joahna Hernández who saw a need and figured out how to create products and services that solve them. These women are examples of the immigrant fight to make one’s American dream a reality in spite of and possibly because of the obstacles they have faced. I know many families like the one you just described. My family included. Doesn’t matter where you came from how you look or color of your skin. We need more stories like these! I really enjoyed learning about these women and their businesses. As a business owner I’m so inspired. These traits are admirable indeed. I agree that when it’s sink or swim you need to learn to swim quickly. I have seen people of all cultures including those born and raised right here in the USA with the same work ethics you talk about. This is a wonderful tribute to some admirable women for sure. I love these stories! What wonderful women. It is certainly inspiring to learn more about them. I really enjoyed reading this post. I love how these women turned their obstacles to fuel for making their dreams a reality. I have always been raised to firmly believe that America is a melting pot. It irks me that our history of the “American Dream” is being demolished by political purposed – we should be staying true to our roots. Such an array of special women who are a tribute to their heritage and businesses that they work in. They all are so successful and an inspiration to us all. I am so impressed and inspired by all of these magnificent women! I do agree about immigrant work ethic. While not an immigrant I come from them and my family were all hard workers too. I like to think I got a little of that trait in my DNA as well. Their hard work does not go unnoticed. These girls are going to go far! Very inspiring! It’s nice to see women taking charge. We could definitely learn a lot from these women. These ladies also overcome ethnic adversity. What a great post! I guess, good work ethics and dedication plus passion on what you do is indeed what makes a person successful. I am glad I dropped by this post, such a very inspiring article. I love seeing Latinas represented in the media, especially when they are Latina Immigrants, like myself. Thank you for bringing awareness to our contribution to the entrepreneurial space and the economy! Loved reading this article it was very inspirational! Especially in this political time of demonizing Latinos and immigrants. As along as there are people like these ladies we will always push forward. I also got hungry reading this lol! Haha, I know right? Food is love.